The E3 Metro is an Electric Bicycle designed with efficiency in mind. With 500 watt rear hub motor and built-in storage, you can do the same errands that you would have done with your car, and without the cost of gas! The front porteur rack can carry up to 66 pounds of cargo, which is perfect for grocery shopping or day trips. The E3 Metro has the power to get you and your cargo up steep hills, so you can breeze past the bumper-to-bumper traffic you used to know so well. 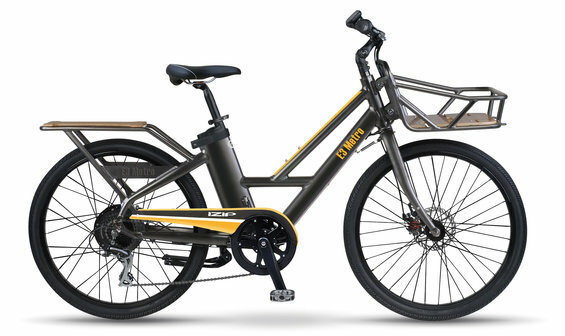 If you are a multi-tasker, an adventurer, or maybe even a picnicker, the E3 Metro is the eBike for you. Range Estimated 25 mi (40 km) to 35 mi (56 km). Varies based on terrain and rider input.